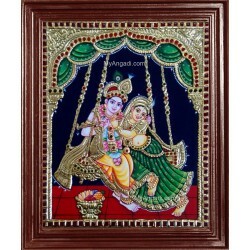 3D Tanjore Paintings / Super Emboss Paintings are embossed paintings which will give realistic views to you like the view in temple with AD stones and precious materials. 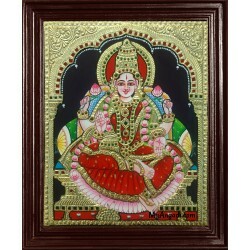 The Paintings are 100% handmade and natural also known as Thanjavur Paintings. Common sizes are 15x12, 18x14, 20x16, 24x18, 30x24, 36x24, 48x36 (all in inches) up to 6 feet. 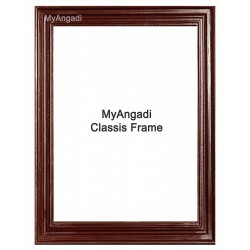 Frames are customizable. 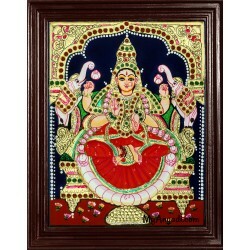 3D Iyyappan Tanjore Painting – with Special 3D - Super Emboss Effect in Tanjore Paintings to make the paintings Live before Your Eyes. Embossed style is a unique style in which importance is given to the design details. 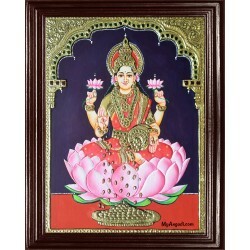 We do take customized Pooja Room Orders for your Specificati..
You’ll treasure this beautiful 3D Painting of the Most beloved Goddess - Andal who is celebrated as the “Queen of Bhakti”. She is the only female Alwar among the 12 Alwar saints and remembered for her Pure Love. Act now to bring this Goddess to your home. You can almost hear the sweet melodies..
​“Oh Annapurna devi, you are always full, complete, and perfect. You are the energy of the beloved Lord Shiva. For the attainment of perfection in wisdom and renunciation, please give me your nourishment.”Goddess Annapoorani, the wishom mother is the Hindu goddess of nourishment. Your deco..
Iyyappan 3D Tanjore Painting – with Special 3D - Super Emboss Effect in Tanjore Paintings to make the paintings Live before Your Eyes. Embossed style is a unique style in which importance is given to the design details. 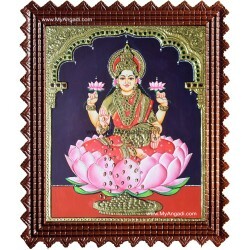 We do take customized Pooja Room Orders for your Specification. ..
Presenting this Traditional Look Illustration of Lord Dhakshanamurthy - an aspect of Lord Shiva as a guru of knowledge and representing a teacher of wisdom. 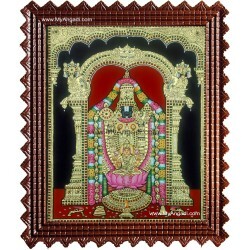 Get the blessings and worship Lord Dakshinamurthy as your Guru to brighten the day. Get it for your decor today! 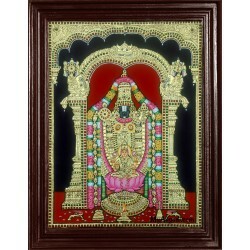 Dakshinamur..
Let your walls be a sign of your artistic tastes with this stunning Five Panel painting of Tirupathi perumal - Lakshmi Maa - Ganesha - Saraswati Maa - Murugan displayed in a visible section of your Pooja room. This All in one artwork brings spiritual bliss to your home or office. Buy today! ​ ..